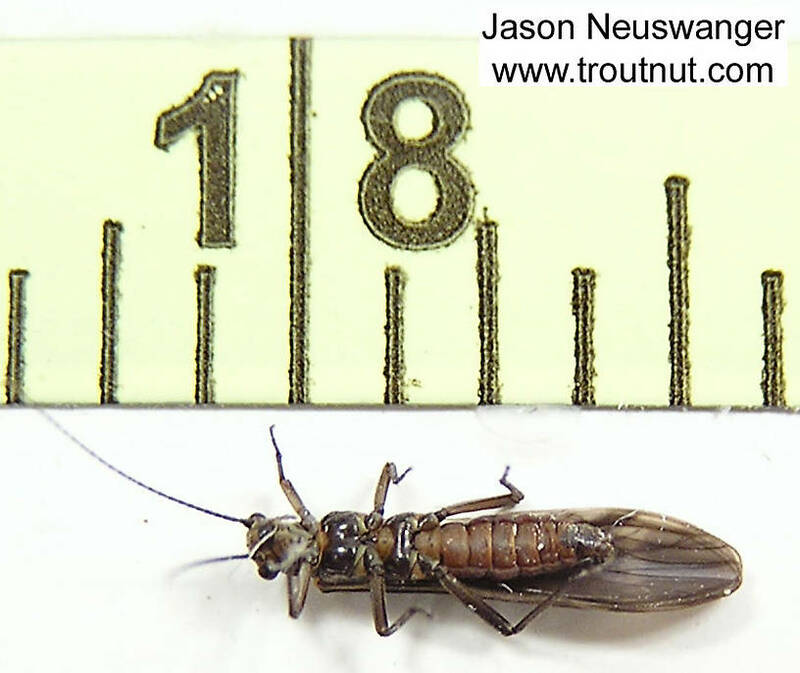 This is a really small stonefly adult, about 3/8 of an inch body length. 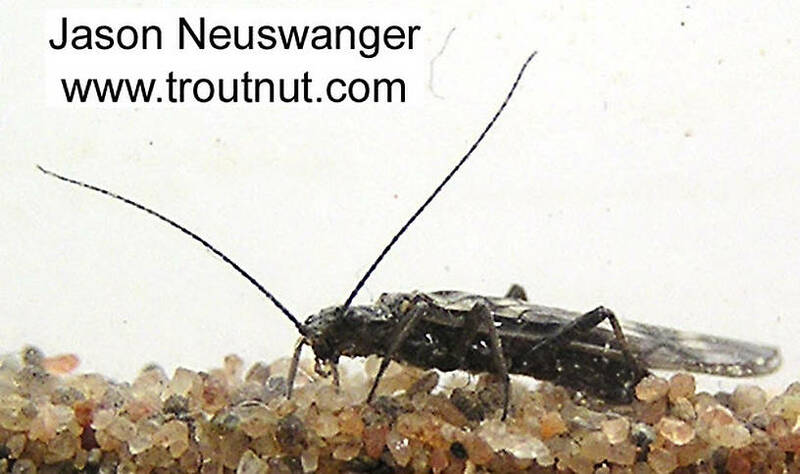 This insect was collected from the Namekagon River, below Lake Hayward on April 28th, 2004 and added to Troutnut.com on January 25th, 2006. 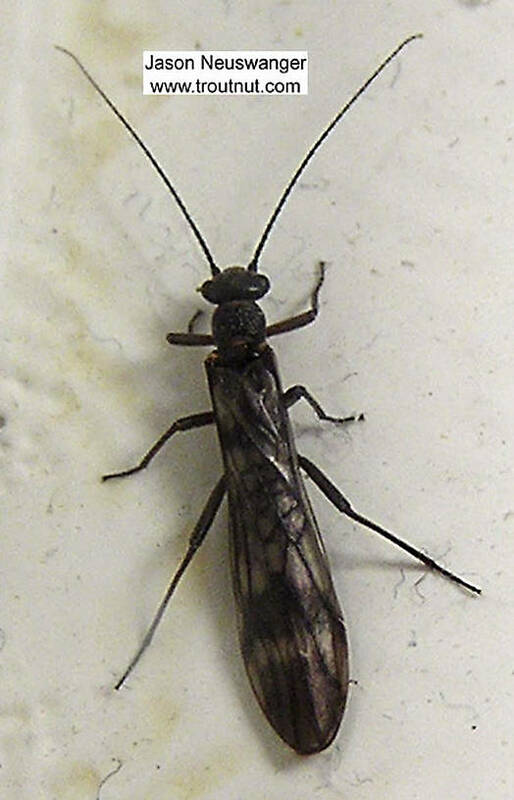 I'm pretty sure this is a nemourid.